We use security cameras/video surveillance at all of our locations and in some external areas such as parking lots. Notices advising of the use of such cameras are posted at each of our locations. By visiting a Goodwill Industries - Essex Kent Lambton location, you consent to our use of such cameras and the recording of your information. Information obtained through video surveillance may be used for security and safety, which relates to the protection of staff, the public, the detecting or deterring of criminal activity, including theft, aggressive behaviour or property damage (e.g. graffiti, window breaking, etc.) as well as to enforce internal policies as they pertain to the protection of Goodwill’s donations from point of donation to sale and the conduct of our employees and third parties. Video surveillance may be used for purposes relating to safety of individuals and security of buildings, property and assets of Goodwill. Video surveillance is used to monitor exterior areas, such as parking lots, garbage areas, donation drive thru, etc., as well as interior areas, such has cash registers, donation processing areas, sales floor, etc.,of Goodwill property, which includes leased property. Goodwill does not have any cameras in their change rooms, bathrooms or staff break room. This policy has been created in accordance with the Guidelines for Overt Video Surveillance in the Private Sector in March2008(https://www.priv.gc.ca/en/privacy-topics/surveillance-and-monitoring/gl_vs_080306/) and Guidance on Covert Video Surveillance in the Private Sector in May 2009(https://www.priv.gc.ca/en/privacy-topics/surveillance-and-monitoring/gd_cvs_20090527/) both of which outline the obligations imposed on institutions with respect to the protection of the privacy interests of individuals. 2. Goodwill will educate our employees to make them aware of camera systems at orientation. 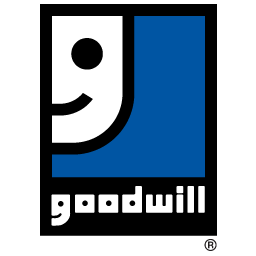 Goodwill will also provide biannual training on our EmployeePurchase Policy that references our use of cameras to continually make employees aware that the systems are in place. 3. Video surveillance may be used where it is demonstrably necessary for the purposes of enhancing the safety of persons, the deterrence of theft or destructive acts, such as vandalism and graffiti or to enforce policies pertaining to protection of Goodwill’s donations from donation to sale and the conduct of their employees and third parties. 4. Video surveillance may be used only by Goodwill employees authorized by theLeadership Team or by third parties that are approved by Goodwill’s leadership team, such as Lawyers, WSIB, Law enforcement, etc. 6. Employees approved by the Leadership team who may require access to information collected through video surveillance will be provided proper training and orientation with regards to this Policy and their obligations under this Policy and will provide written acknowledgment that they have read and understood the contents of this policy and procedure. Any employee who knowingly or deliberately breaches this policy may be subject to discipline up to and including termination. Failure of a video service provider to comply with this policy may constitute breach of contract and may result in termination of contract and legal action. 9. All recorded information shall be destroyed automatically unless archived for specific use, such as court cases, policy infractions, WSIB or insurance related, etc. 11. When video surveillance footage is being displayed by authorized employees on a video monitor, the monitors should be in a position that cannot be viewed by others. Our Video Surveillance only captures video, which includes the ability to zoom and night vision. Our systems have the ability to capture sound however, sound must be disabled with no exception.